Découvrez tout le charme de Kuala Lumpur lors d'une visite le matin ou l'après-midi, qui combine le caractère du vieux monde et une métropole moderne. Un guide instructif souligne le contraste entre l'architecture indo-mauresque et les édifices ultra-modernes tels que l'ancien et le nouveau palais du roi et Merdeka Square (place de l'indépendance) sur le fond des gratte-ciel croissants de la ville dominé par les Petronas Twin Tower. Les autres points forts incluent le musée national, la mosquée nationale et le centre de visiteurs Royal Selangor où vous pourrez en apprendre plus sur l'étain et son artisanat innovant . Le transport depuis/vers l'hôtel est inclus. Ce n'est pas une visite, c'est un tour en voiture avec chauffeur avec juste désignation des lieux. This was exactly what we wanted in an intro tour. We were taken to notable city locations, given enough time to take photos, and then moved on to the next location. We were also able to visit a terrific batik factory and watch experts produce wonderful works of art. Our transportation was comfortable and our guide was well informed. 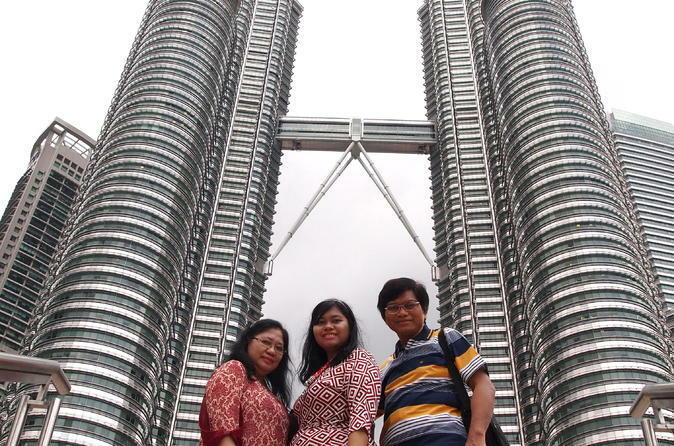 This tour was a very good value and I would recommend it for all first-time visitors to KL. 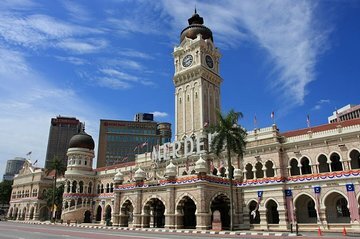 The tour itself is definitely worth it if it is your first time coming to KL and you want an introductory tour of the city. I recommend going on your first day here as the tour guides are extremely knowledgeable and even give you recommendations for places and things to do that aren't included in the tour. Customer service is extremely efficient as well. A special shout out to David, our tour guide, for his amazing service as he was extremely courteous and kind and for being an ultimate tour guide! What a horrible tour. The information was limited and we were essentially brought from one tourist scam to the next. This is not a city tour it is a tour to tourist shops to encourage you to buy items. As soon as you get in each store they are shouting prices at you not giving you much background about the products. I couldn't wait for the tour to end. Would NOT recommend. A whirlwind tour of some of the significant landmarks in KL. Worth the trip for getting your bearings to spend longer at chosen places later. Horrible. First problem was they would not pick me up at the KL Hilton even though it was on the list. I was forced to take a taxi in rush hour traffic to get to the main meeting point. The tour itself consisted of two shopping stops which had nothing to do with the tour. Tour director kickbacks. Our guide was David. He picked us up from our hotel. There were 3 more guests doing this tour with us. He gave us enough time at each place to visit and take photos. Gave us enough information about each place. Tour was short but enough to know about the main historical places in KL. Also visited the Royal Selangor, which was a first for us. After the tour, David dropped us at Low Yat Plaza at our request. Tour and guide both recommended. This trip is highly recommended for first timers to Kuala Lumpur. My wife and I had only one other guest and our driver was very friendly and his driving was exceptional. Nice tour - covered the highlights. However, could have covered more history and better explanations of the places that were being visited.